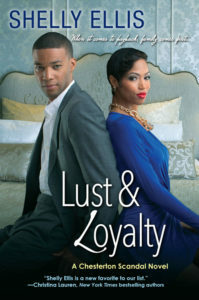 2 FREE ARC’s of Lust & Loyalty by Shelly Ellis available for grabs. Winners will be announced March 5, 2017. *I ask that the winners take a photo with the book and tag Shelly Ellis and Authors & Readers Book Corner on Facebook or tweet the photo and tag @ellisromance and @AuthorsReadersB on Twitter. After reading the book please leave a review on Amazon and Goodreads. Shelly and I would really appreciate it. Mario D. King writes to change the world with works that will spark an educational revolution. He made his literary debut in 2013 with the release of his hip-hop novella, The Crisis Before Midlife. 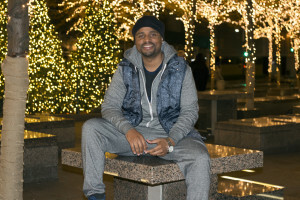 Met with rave reviews by readers, he decided to continue to encourage change in the community through literature with the release of his first nonfiction project, What’s Happening Brother: How to strategize in a system designed for you to fail. In it, Mario provides a realistic discourse that embraces accountability and responsibility to systematically address the problems ailing the black community. Through his meticulous research, he explores solutions in education, entrepreneurship, leadership, community, and spirituality, amongst several other topics, to transform the thinking of black men and their respective counterparts. His love for the black family propelled him to embark on a different kind of journey with Where Do We Go from Here? King hopes that by helping to illustrate how misguided relationships can negatively affect the lives of all involved, people will make wiser decisions and strengthen black families. Mario received his bachelor’s degree in communications from the University of Tennessee at Chattanooga where he studied global culture and communication, psychology and sociology. He received his MBA from Kaplan University and will continue to stir up change and motivate those with whom he comes in contact. A native of Memphis, Tennessee, this husband and father of three now lives in Charlotte, North Carolina, where he continues to be a positive influence in his community. -I always knew I was going to do something related to the arts. That love for the arts soon transitioned into writing. So, in a way…you can say I’ve always wanted to be a writer. What is your process working with a co-author? 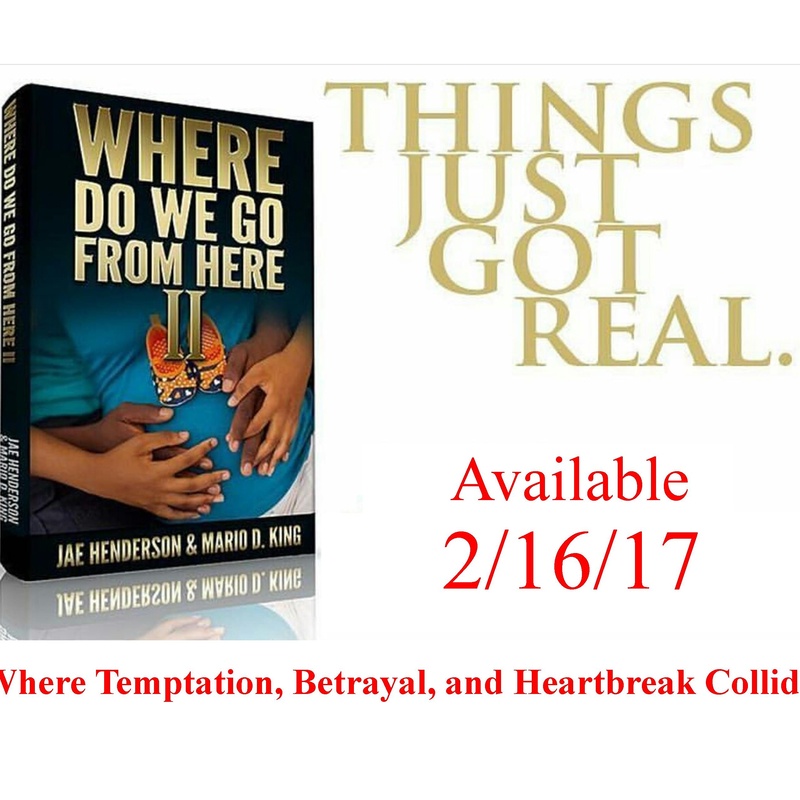 -Working with Jae on the Where Do We Go From Here series was my first experience working with a co-author. I’ve enjoyed the experience. Our process has been just to feed off of each other’s energy. Working solo is easy in a way, meaning that you only have to question yourself as it relates to the path of your story. In contrast, working with a co-author you are challenged to compromise, which is good it takes you out your comfort zone and grows you as a writer. -It depends on what I’m writing about. I gather research from a variety of sources. My best research is speaking with actual people. Tell us about Natalie from Where Do We Go From Here II. -Natalie is a flawed individual like the rest of us in this world. Jae was able to build and grow her character. I’ve known and know women like Natalie. I think she’s highly relatable and the audience will pick up on that. Like Natalie, many of us are in search of that one thing/person that gives us the validation we seek in life. Her validation just happens to be the love from Marcus. What do you want readers to take from your books? -I want readers to feel satisfied. I want them to feel as if the time they spent reading my material was worth it. Beyond that, I can’t think of anything else. -Readers can connect with me through various Social Media outlets. Jae Henderson’s writing exists to motivate others. She invites readers to join her on a most entertaining journey that imparts some sage wisdom and assists readers in further realizing that we may not be perfect, but we serve a perfect God. 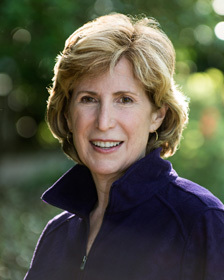 Now the author of five books, she began in 2011 with her debut inspirational romance novel, Someday. In 2012, she released the sequel, Someday, Too, and followed it with the finale to her trilogy, Forever and a Day in 2013. She followed those with two books of inspirational short stories, Things Every Good Woman Should Know, Volume 1 and 2. Jae is a graduate of the University of Memphis where she earned a BA in communications and an MA in English. She is the former host and producer of On Point, a once popular talk show geared toward youth and young adults. Other accomplishments have included serving as a contributing writer for the award-winning, syndicated Tom Joyner Morning Show and a successful career as a voice-over artist. Her signature voice has been heard in hundreds of commercials and even a couple of cartoons. When Jae isn’t writing, she works as a public relations specialist. She currently resides in her hometown of Memphis, Tennessee. How did you start in the public relations field? My internship in grad school was at a minority-owned marketing firm and one of the services they offered was public relations. I naturally gravitated to it because of my background in radio and media. It was a great foundation for what I’m doing now. After I left the firm, I did PR freelance part-time and it eventually evolved into full-time. My company is called Put It In Writing Professional Writing Service and PR and we’ve been going strong since 2003. How did you transition into doing voice over work? I worked in radio for about ten years, and it was quite common for the production people to ask other employees and on-air talent to voice commercials. Although, I didn’t get additional pay for it. When one of the production people told me that there were companies that would be willing to pay me to do voice work I was like sign me up! I found a local company that represented talent and it kind of took off from there. My biggest “breaks” have been voicing commercials for national brands like McDonald’s, Regions Bank, Fred’s, Faygo and Applebee’s. Yes. I’ve always written in some form but in college I was a broadcast journalism major. I wanted to be a television news reporter/anchor and I thought most of my writing would be for that field but I ended up going into a totally different direction writing PR materials and literary fiction. “Where Do We Go From Here” with Mario D. King is my eighth book. It’s been a great journey. What is your process in working with a co-author? Mario and I work really well together, and we basically took turns writing the chapters. We began with an outline to help us determine how we wanted the story to play out. We purposely made the outline very broad so that each of us was free to use our creativity. He wrote from the perspective of the primary male character, Marcus, and I wrote from the perspective of the primary female character, Natalie. Even though we each knew what we ultimately wanted to happen, we didn’t dictate to one another how it should happen. This made reading each other’s chapters very exciting. When I would see his chapter in my email, I couldn’t wait to read it and discover what Marcus would do or say and determine how Natalie would respond to it. During the review process, we edited one another’s’ work and gave feedback to make sure that things were consistent and made sense. Tell us about the character Marcus from Where Do We Go From Here II. Marcus is the charming successful good boy turned bad because he’s been hurt by love. Unfortunately, while trying to move past the hurt he unintentionally hurts others. He wants to do right but for a man who was used to working hard and getting everything he wants losing the love of his life threw him for a very big loop. One minute you love Marcus and the next you hate him. Mario has done a great job developing him, and I’ve enjoyed watching Marcus work through his problems/pain and struggle to get back to being the man his Christian parents raised him to be. I believe the readers will too. What do you want readers to take from your book? That every decision has a consequence and your actions often impact more than yourself. Therefore, it’s very important to choose wisely. I also want them to walk away saying, “Dang that was a good book, and I can’t wait to read the sequel. Jae Henderson and Mario D. King make a great team. Natalie, the not-so- innocent bystander in this whole ordeal has a secret she’s fighting hard to keep. If she confesses her sins the baby she’s carrying might not be enough to hold on to the man she yearns for. But Marcus isn’t the only one with options. Jackson, her generous and supportive boss, is offering her a sweet escape. the drama. Will Marcus choose love with Natalie or head in another direction? And if he does choose Natalie, will she still be there waiting to welcome him home. Delve into part two of this entertaining thought-provoking series that expertly illustrates what can happen when you allow lust to determine your direction. There could be consequences and repercussions of epic proportions that leave you asking the question, “Where Do We Go From Here? Mario D. King writes to change the world with works that will spark an educational revolution. He made his literary debut in 2013 with the release of his hip-hop novella, The Crisis Before Midlife. His love for the black family propelled him to embark on a different kind of journey with Where Do We Go from Here? King hopes that by helping to illustrate how misguided relationships can negatively affect the lives of all involved, people will make wiser decisions and strengthen black families. To learn more about Mario connect with him at www.mariodking.com. Jae Henderson’s writing exists to motivate others. She invites readers to join her on a most entertaining journey that imparts some sage wisdom and assists readers in further realizing that we may not be perfect, but we serve a perfect God. 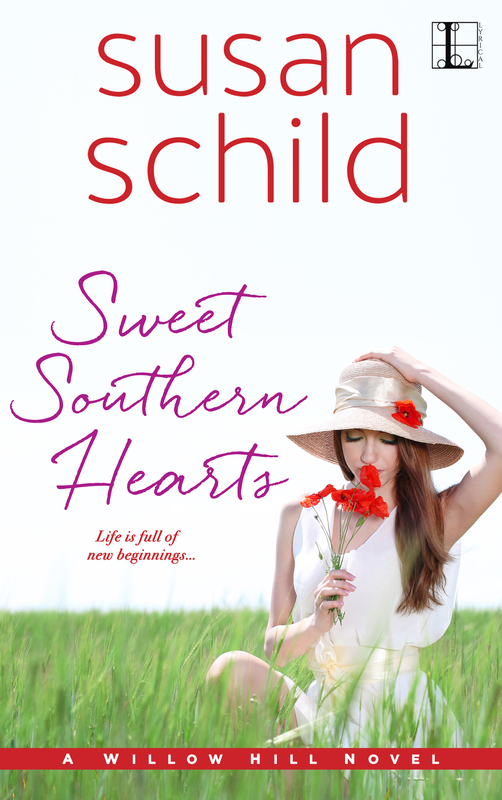 Now the author of five books, she began in 2011 with her debut inspirational romance novel, Someday. In 2012, she released the sequel, Someday, Too, and followed it with the finale to her trilogy, Forever and a Day in 2013. She followed those with two books of inspirational short stories, Things Every Good Woman Should Know, Volume 1 and 2. 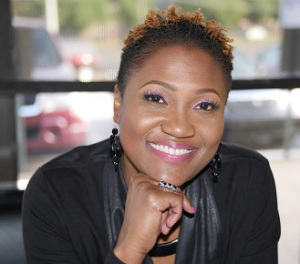 She is the former host and producer of On Point, a once popular talk show geared toward youth and young adults. When Jae isn’t writing, she works as a public relations specialist. To learn more about Jae connect with her at www.jaehendersonauthor.com.